work you are looking for in Newcastle-under-Lyme. 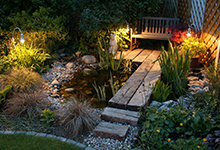 Be active in your garden for many more hours in the year by incorporating a lighting scheme. Subtle low level effects can highlight your favourite garden feature, safety lighting minimises mishaps and well placed outdoor lighting can effectively create another room in your home. Why not create a haven in your bathroom? Habtek will install LED lighting to create moods for that extra pick me up in a morning or warm tones for luxurious hours in the bath. Every kitchen needs efficient task lighting and safe appliances, and at Habtek we have the skills and resources to advise on and complete your project on time. 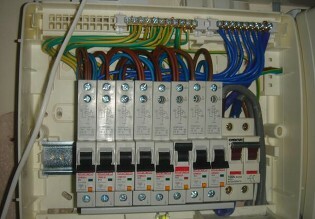 call us today for a quote on 01782 789 126. Get the professionals! 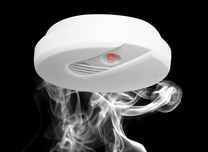 Habtek will install security lighting, home intruder and smoke alarms and CCTV systems to help you protect your home and family.